How to tell which front suspension your 2014 & newer GM 1500 has. So you are looking to lower your 2016 -2017-2018 & Up Chevy Silverado or GMC Sierra but you're not sure what kit or control arms you have? Here is how to determine that so you can order the correct lowering spindles or struts. GM decided in 2014 to come out with a new Aluminum control arm for their trucks on some models in addition to the standard cast steel control arms. Below is the differences in those 2 control arms. You will also notice the third option which is brand new for the 2016.5-2017-2018 and up trucks. 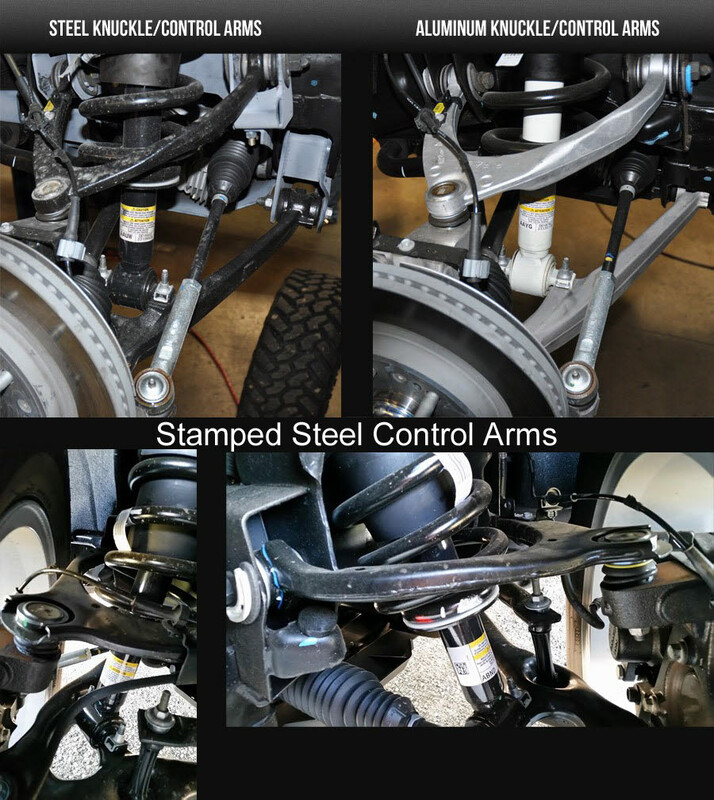 These are known as the AVV code stamped HD control arms.